By Rick Kattouf II, O.D. 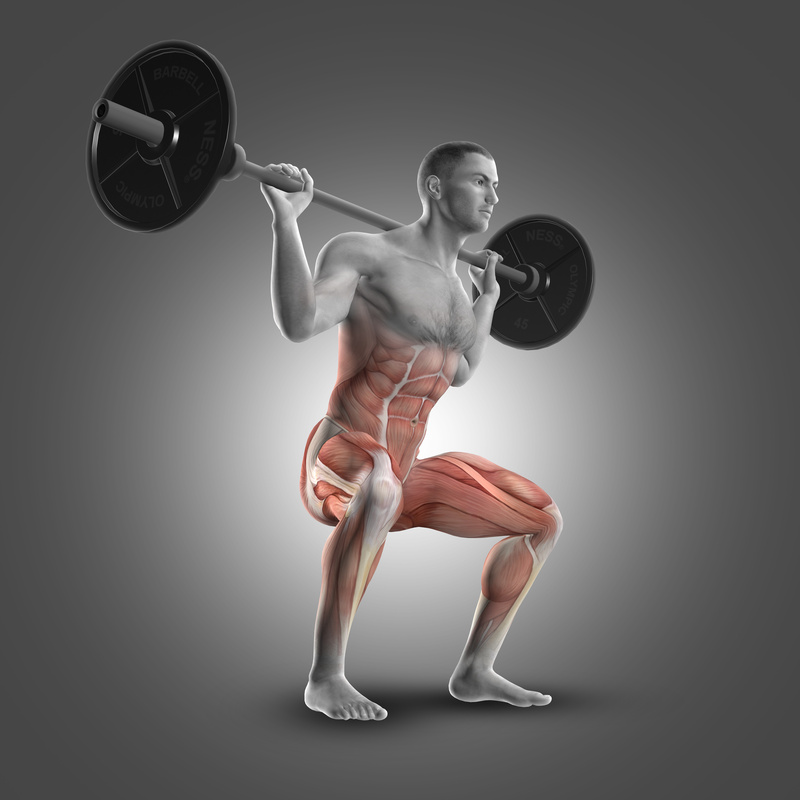 Strength training has incredible benefits for endurance athletes. With that said, why is strength training often times skipped and overlooked? Let’s take a look at the top 5 excuses endurance athletes make for skipping strength training. Consistent strength training (when combined of course with proper nutrition) will help to increase lean mass; which means a change in body composition (higher body water percentage, lower body fat percentage). In addition, regular weight training workouts help to assist in increasing strength. [iv] And it is this increase in strength that we can then put into every stroke in the water, every pedal stroke on the bike and into every step on the run. If you have adopted the ‘weight lifting will make me bulky mindset’, no worries; today is a new day. Let’s change the mindset and limiting beliefs about strength training and let’s start to focus on the amazing benefits of consistent weight lifting. Here is a question for the multisport community. What is a Brick workout? Easy answer, right? It’s a bike workout followed by a run workout. How did you run legs feel the first time you did a brick workout? I’ll go out on a limb and say they probably felt like bricks, right? But, as you continued to train and implement more and more bike-run workouts into your training, you found yourself running exceptionally well off the bike. You even built your body to where you can ride really, really hard and still come off the bike and annihilate your run. Well, welcome to ‘the other Brick workouts.’ Strength training workouts done first and then immediately followed up with a swim bike or run workout are great brick workouts to do. And yes, by design, we are creating fatigue in the upper and lower body in the weight room and then we are going to knock out a swim bike or run workout on these fatigued muscles. And just like the bike-run workouts that you have mastered, the same will happen with, the other brick workouts. One of the keys to preparing the body for race day is to teach the body to perform and perform well ‘on tired legs.’ And then, come race day, when you are rested and tapered, just imagine how great you will feel. Remember, we do not want race day to be the toughest thing we do. “The basic principle is to apply a load and overload the muscle so it needs to adapt and get stronger,” explains Neal Pire, CSCS, an exercise physiologist and the national director of wellness services at Castle Connolly Private Health Partners in New York City. weight training, just like stand-up paddle board does not replace running. When we are talking about weight training, we are getting after it in the weight room. We are going to hit the dumbbells, barbells, machines, plyometrics; nothing shy of chewing on iron…that’s weight training! 2-3 months of weight training in the off-season, huh? How would your run performance be if you only ran 2-3 months out of the year? How would your body composition be if you only focused on eating right 2-3 months out of the year? The answer to both is, ‘not very good.’ Just like with all aspects of training and nutrition, if we are looking to get maximum benefit, strength training must be done year-round. Sure, there are going to changes to the weight training frequency all throughout the year, that goes without saying; as that’s just part of the work-to-rest ratio. Point being is that focusing on anything only 2-3 months out of the year, especially weight training, is going to produce subpar results. Sure you do; you have more than enough time. You find time to get in your swim, bike and run workouts, right? Then why can’t you get in your weight training workouts? I’ll tell you why; it’s because you don’t make them a priority. The knee jerk reaction from multisport athletes is, ‘but I’m a triathlete; I only have so much time, so I just make sure I get in my swim, bike, run workouts.’ Look, getting in your weight training workouts does not mean adding more time to your weekly workout schedule. It simply means taking the available time you have and reworking the work-to-rest ratio and making sure weight training takes priority just like S-B-R workouts. Whether you have 7 hours/week, 15 hours/week or 25 hours/week to train, it’s just a matter of taking your available time and putting together the right mix of weight training and S-B-R workouts. If you find yourself using such excuses regarding weight training; no worries, today is a new day and a new start. It’s time to stop making excuses and to start making time for weight training! SHOW YOUR WORKOUT WHO’S BOSS®!